← David visites us after long time! Fer completed his 2nd year of PhD! 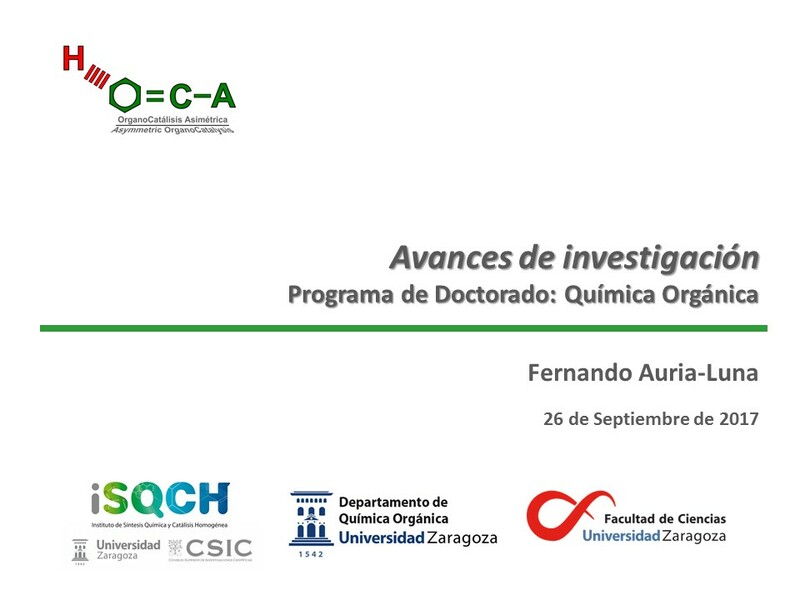 Last September 26th, Fernando presented to the Doctoral Committee of the Organic Chemistry Program, a summary of the research advances of his second year of doctorate. He did it excellent, congratulations and good luck in your 3rd year! This entry was posted in Defense, Doctorate and tagged 2017, 2nd year of PhD, Defense, Dihydropyridines, Fernando Auria-Luna. Bookmark the permalink.